To a lot of people cryptocurrencies are a difficult concept to understand. Virtual currency exists solely online and therefore it’s intangible. Cryptocurrencies have no centralized power monitoring them and rely solely on the users on their networks to verify and monitor the transactions. As a whole, cryptocurrencies have taken off over the past decade. Since their conception, cryptocurrencies have seen an enormous amount of growth and supporters of virtual currency expect this success to continue. Virtual currencies are created in limited quantities like gold and silver, therefore propelling the value of those units. Traditional bank transfers or transactions require a lot of personal information, take a lot of time and cost a lot of money. The transferring of cryptocurrencies are nearly instantaneous and provide users with a level of privacy that is unrivaled. The ability to transfer currency across the globe anonymously is a huge advantage of using virtual currency and part of the reason these currencies have become so popular, but may encourage criminal activity. 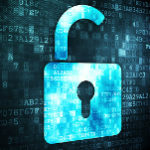 Many fear that the ability to transfer money anonymously gives users a platform to the sell and purchase illegal items. Since virtual currency is a relatively new concept many countries are still developing laws regarding their use. Generally speaking, cryptocurrency laws can differ depending on your location. 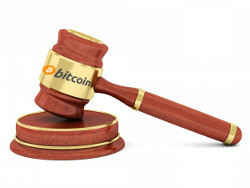 Throughout Bitcoin’s short history there have been a number of legal incidents regarding the currency. It was originally the only currency accepted on an anonymous marketplace called Silk Rod, which was used primarily for the sale of illegal goods, such as narcotics. In June of 2013, The United States Drug Enforcement Administration seized bitcoins from a US resident for purchasing a controlled substance. Needless to say, cryptocurrencies have raised some questions about the legality of their use ever since. There are hundreds of different cryptocurrencies in circulation and all operate a little differently, making it difficult to establish all-encompassing laws. For this reason, many countries are still developing the laws and regulations regarding cryptocurrencies. Owning and using cryptocurrency is legal in many countries across the globe, with a few exceptions. It is important to keep in mind that cryptocurrency laws are constantly changing to adapt to the fast-growing market. The United States Treasury classified Bitcoin as a convertible decentralized virtual currency in 2013. The U.S. has since put into place a number of tax laws, including one that places self-employment tax on any individual who is mining virtual currency as a trade or business. While the use of virtual currency is permissible in the U.S., many questions are still being raised within the government in regards to what it can be used for. To this day, it is still a very fluid situation with a number of moving parts. In 2013, the United States Senate deemed cryptocurrency a legal means of exchange, and that all decentralized payment systems offer legitimate financial services. Around the same time, the Federal Election Commission debated over the use of Bitcoin in political campaigns. While Democrats and Republicans were split on the decision, the FEC deemed the use of bitcoins permissible for political campaigning. A number of virtual currencies have also been widely accepted by large businesses in the United States such as Dish Network, Dell, and Overstock.com. All of these companies accept cryptocurrency as a form of payment. Virtual currency has also established itself on the U.S. derivatives markets. Canada has worked to establish a number of tax laws for cryptocurrencies, as well. All transactions are viewed as barter transactions and are considered business income. Any profits made on commodity transactions, such as cryptocurrency, can be considered income or capital. All virtual currency in Canada is subject to anti-money laundering laws and all bitcoin exchanges need to register with Financial Transactions and Reports Analysis Centre. This allows them to track any suspicious transactions and keep records. Similar to the United States, Brazil looks at cryptocurrencies as financial assets, and imposes a 15 percent capital gains tax at the time of sale. This decision came in April of 2014. As it stands, Brazil will not place a tax on any transaction less than $16,000 or 35,000 reals (Brazil’s native currency). Cryptocurrency is legal in Argentina and is considered money but not legal currency, meaning virtual currencies are not issued from the Central Bank and therefore not accepted as payment. Chile and Columbia have yet to establish any regulations regarding the use of cryptocurrencies. Ecuador and Bolivia have both completely banned the use of all cryptocurrencies. The national Assembly of Ecuador banned all decentralized virtual currency in 2014, roughly around that time they established their own state-run electronic currency system. The new system was under the control of the government and tied to the local currency. The Banco Central de Bolivia also banned virtual currency in 2014. The European Union has not issued an official decision regarding the use of cryptocurrency. The decision has since fell into the hands of individual countries throughout Europe. A number of nations have accepted virtual currency, while others have remained tight-lipped or expressed concerns about its use. The United Kingdom allows the use of bitcoin and treats it, in many ways, as a foreign currency. Cryptocurrency is susceptible to something called value-added tax (VAT). VAT is any tax that is placed on a product when value is added during the production process or at final sale. Due to the fact that the value of virtual currency is constantly changing means that it falls under this classification. France held hearings with the French Senate in 2014, which concluded that making cryptocurrency illegal was not an option. The senate also decided that all virtual currency would be taxed. The Netherlands has yet to establish regulations regarding cryptocurrency, while the country of Luxembourg treats cryptocurrency the same as any other currency. In 2013, Finland was quick to establish capital gains tax, as well as a tax for cryptocurrencies mined for earned income. In Finland, virtual currency is classified as a commodity, rather than a currency. In Bulgaria, virtual currency is taxed at a rate of 10 percent. Cyprus and Belgium both allow the use of cryptocurrency, but both have yet to establish any laws or regulations regarding virtual currency. Denmark’s Financial Supervisory Authority declared bitcoin is not considered a currency and therefore will not be regulated. Germany considers virtual currency to be “private money” and can be used for tax and trading within the country. The following European countries have either issued a warning about the use of cryptocurrency or not issued and official opinion regarding its legality: Estonia, Greece, Iceland, Lithuania, and Russia. It’s important to note that the use of cryptocurrency is not illegal in any European nation; some just take a more favorable position regarding its use. 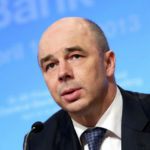 The continent of Asia has played an important role in the success of virtual currencies, even more so in recent months. The use of cryptocurrency is legal in all Asian countries, with the exception of Kyrgyzstan and Bangladesh. Vietnam was one of the first and few countries to have banned the use of cryptocurrency, but as of December 2015, the government confirmed that there use was legal and that laws regarding the use of bitcoin should be finished by 2017. Japan is one of the few countries that fully recognizes Bitcoin and digital currency as money. Most recently, its government officially recognized bitcoin as a method of payment, which may have played a significant factor in the recent surge in market value. China allows private parties hold and trade bitcoins, but bars any financial institutions from using them. However, Hong Kong has yet to establish and regulations regarding the use of cryptocurrency. That being said, laws regarding fraud and money laundering would also apply to virtual currency in the city of Hong Kong. While Taiwan bans bitcoin ATMs, cryptocurrency remains legal. Many government officials in Taiwan have issued warnings regarding the volatile nature of the currency, yet one of the most popular convenience stores in the country accepts bitcoin as payment through kiosk systems. The following countries have issued warnings about the use of virtual currency, yet the buying and selling these currencies is not prohibited: Philippines, Singapore, Thailand, and Malaysia. Israel has, thus far, issued no regulation regarding cryptocurrency. The Israeli Tax Authority has said it would consider tax on virtual currency in the past, but as of May 2017 no tax exists. Jordan is one of the many countries who has issued a warning about the dangers of using cryptocurrency but has not made any further comments, nor have they banned virtual currency. Lebanon has taken a similar position as Jordan’s. Very few African nations have made any decisions regarding the legality of cryptocurrencty, due to the lack of accessibility in many of the countries on the continent. South Africa is one of the few nations to have stated their position regarding virtual currency, stating that cryptocurrencies had no legal status or regulatory framework. Most recently, the Central Bank of Nigeria banned all banks from making transactions in cryptocurrency, while the private use of these currencies remains legal. Australia looks at cryptocurrency as real money and as of July 1st, 2017 it will no longer be subject to double taxation. New Zealand had originally issued warnings about the use of cryptocurrency, but claimed that individuals may buy and purchase virtual currency as they choose. The fact that cyrptocurrencies are an entirely new concept and still in the early stages of development means that many countries remain hesitant to make decisions in regards to laws and regulations. There are certain aspects of cryptocurrency that make many financial institution and government fearful of committing to making these decisions. 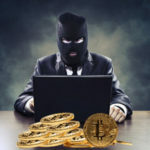 Of course one of the determining factors is the suspected criminal nature associated with the anonymous transactions taking place across virtual currency networks. Yes they are, and on a global scale. There are very few places in the world that completely ban the use of cryptocurrency and most countries are still in the very early stages of developing regulations. Although cryptocurrencies have seen a large amount of success in its first decade, there is no guarantee that this success will continue. Many institutions have reservations about investing time and money into an intangible currency with such a volatile future. As more and more people become aware of cryptocurrency and its potential value, then more governments will be forced to focus their attention on establishing laws and regulations. For now, however, cryptocurrencies remain legal in the majority of the world, with little to no regulation.